« Spring Adventure Day: Habitat Hunt. For children grades 1 through 6. Join Purple Door in celebrating the Lunar Full Moon and the release of their newest flavor, Purple Moon ice cream. 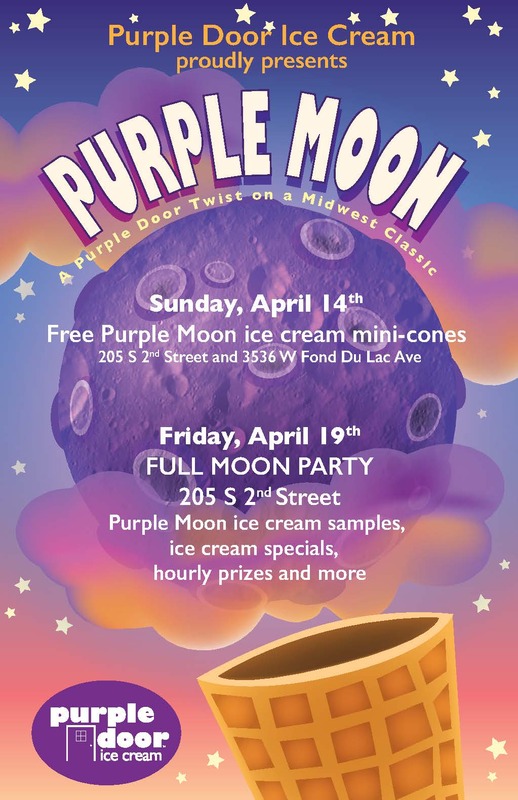 Free mini cones of Purple Moon ice cream all day, as well as a special Purple Moon ice cream menu, hourly raffle prizes and more.